After college, I was fumbling my way through life, looking for a career. Somewhere in the haze I got the idea to do stand-up. There was a comedy club in Lansing with an amateur night, so I wrote some corny jokes about Cheez-Its and signed up. I’ve never suffered much from stage fright, but getting up in front of that audience was one of the hardest things I’ve ever done. For one thing, it was my first time saying the material aloud. I had meant to practice in front of a mirror, but procrastination got the best of me. I rushed through the material like I was in a 50-yard dash. Afterward the manager pulled me aside and told me that I needed to work on my timing. I went back the next week, and the week after that, working on my timing and my material. Getting up on stage got easier every time. Not only was I more comfortable being in front of an audience, but my material was better too. I loved the attention and the ability to see what other people found funny. After a while I also got to know the staff there, not just the manager but the bartenders and waitstaff, which came in handy when I got heckled. I won’t repeat what the heckler said, but it wasn’t much worse than anything I heard in middle school. Still, the comedy club staff took it pretty seriously, stopping he show to call the guy out. The bartender even gave me a free drink. (I never drank before my act, but I often had a beer or two after.) Overall it was a positive experience, since it made me realize that the people there appreciated me, whether I was funny or not. A few weeks later I flew to L.A. to visit a couple of friends. 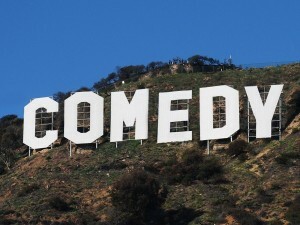 While I was out there, I couldn’t resist the chance to perform my stand-up routine out in Hollywood. I did some research and found out that the Comedy Store in West Hollywood had an amateur night. There was a long like of wannabe comedians trying to sign up, but one of the girls there told me that first-timers usually got a slot. She was right. After waiting in line for an hour or two, the posted a list with fifteen names on it. My name was on the list. Aside from the performers, there were just a handful of people in the audience: no more than half a dozen. Each performer got two minutes. Most of them were pretty bad, and the empty room did not help with the levity. When it came turn for me two go on stage, I went into my best material. I got about two chuckles overall, which was more than some people got. I took it as a victory just getting to perform in a famous night club. After my performance, I ran into Pauly Shore, whose family owned the place. He was a has-been at this point, though I had been a fan in my teenage years. Thinking quick, I peeled the Amateur Night list off the wall, the one with my name on it. Pauly begrudgingly signed it “Yo. Yo. P.S.” before going up on stage to do his own act. I left with a memento of my performance and a feeling of accomplishment. 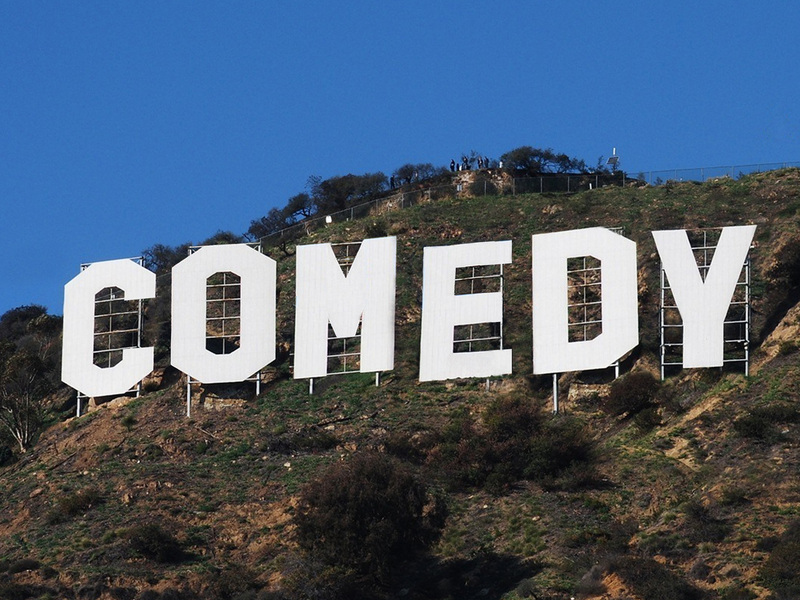 I went to L.A. and spent two minutes in the Hollywood spotlight. And that was enough for me.